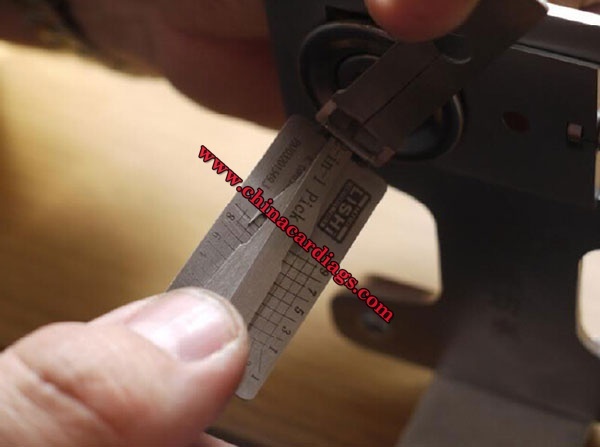 Another new tool in the Lishi standard key 2in1 range , another lock that has proved for some locksmiths a chore to strip and decode , its another quick and simple tool to use with a very accurate decode. 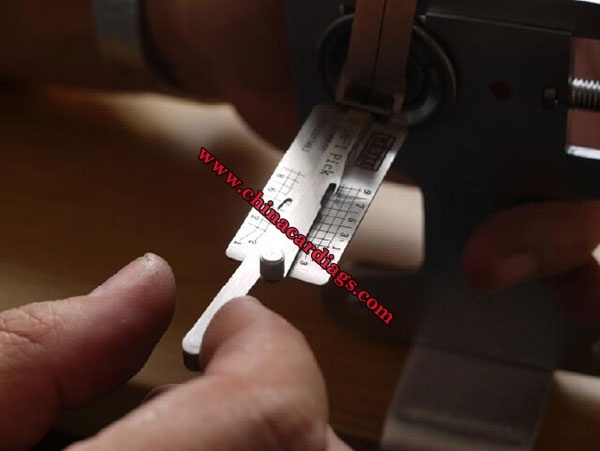 With 9 positions and just 3 heights to deal with , it is a very simple lock to defeat and decode. 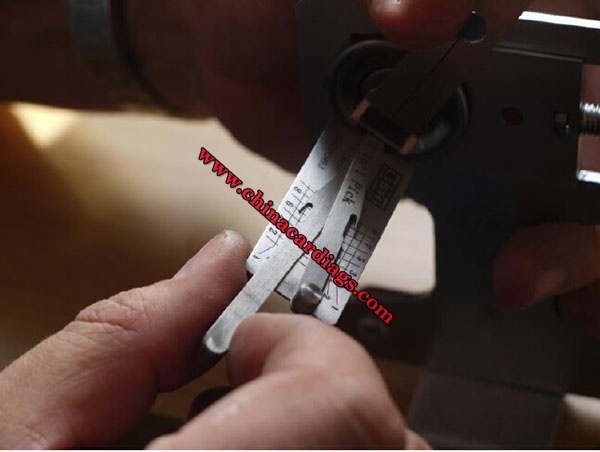 The tool prefers a light to medium tension and no proven sequence picking procedure has been identified, it is a simple procedure of picking the binding wafer and moving on to the next binding wafer until the lock is open. 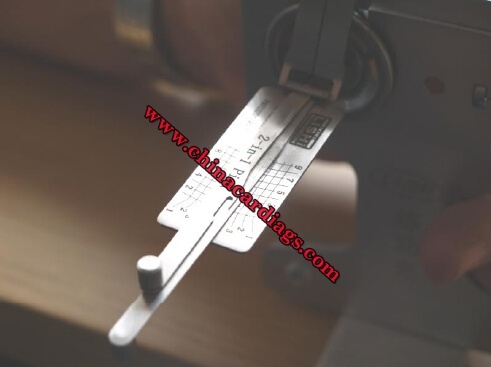 The pick is of the design of 2 separate wafer lifters , one for the odd numbered wafers and one for the even number wafers. 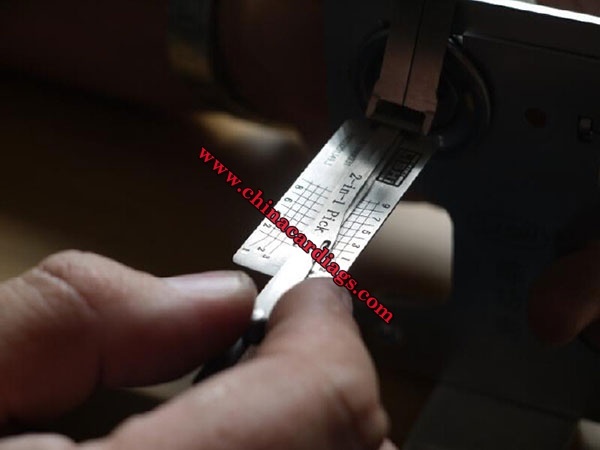 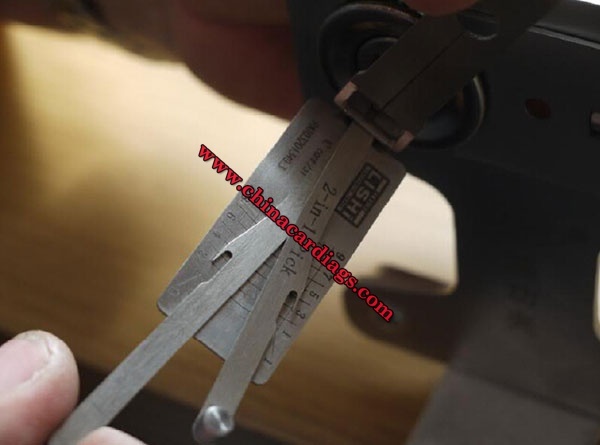 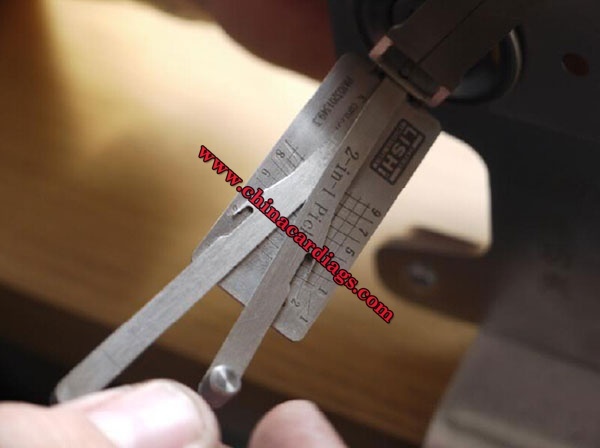 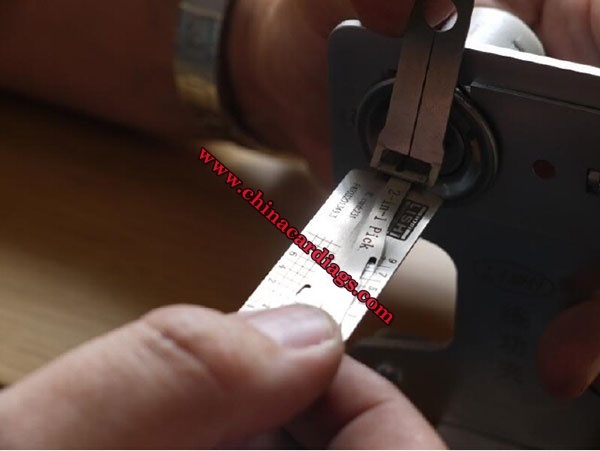 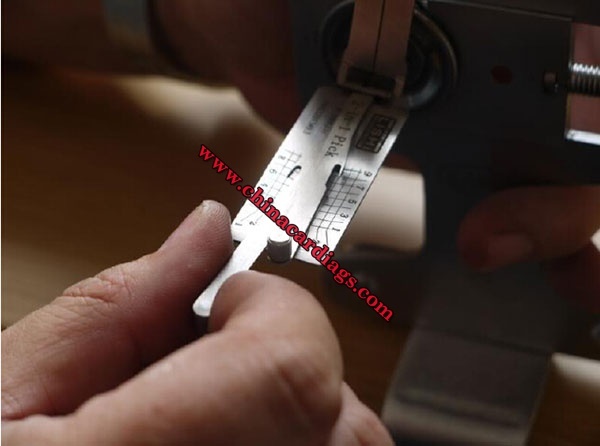 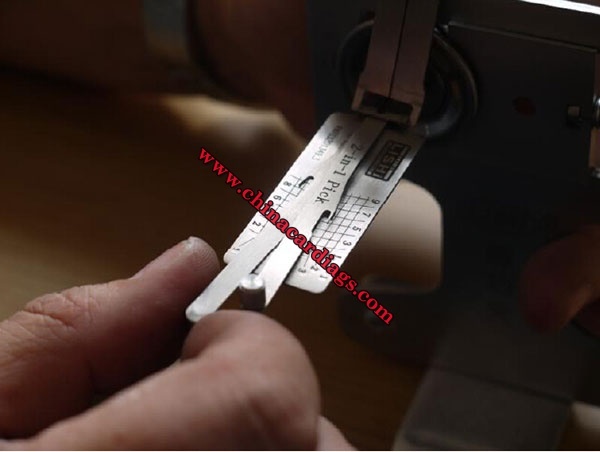 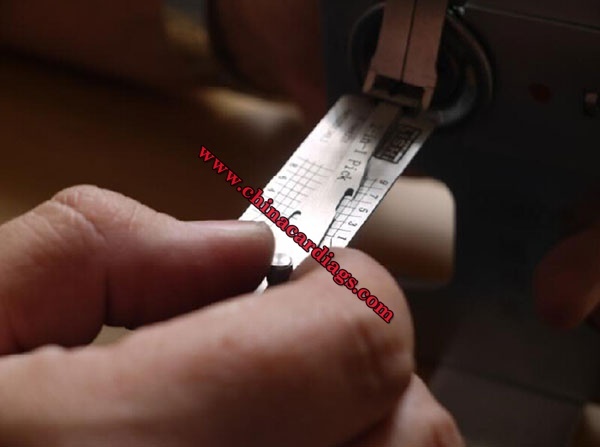 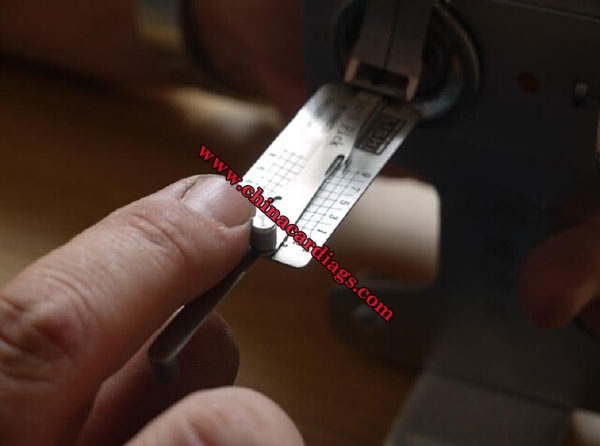 Insert the Lishi pick into the lock , with no tension , check a wafer can be felt in each position, if so we are ready to begin picking the lock . 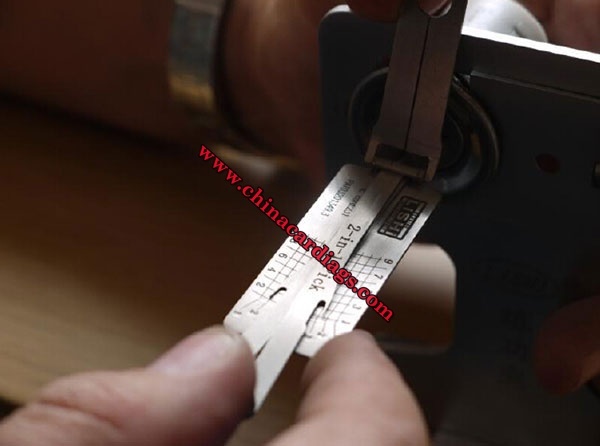 Apply a light to medium tension via the tension handle and position the pointer on position 1 line, gently lift the wafer along the line just 1mm, if resisting pick it, if moving then leave it alone and move to the next position and check this the same, do this for each position , picking the binding wafer each time until the lock is open. 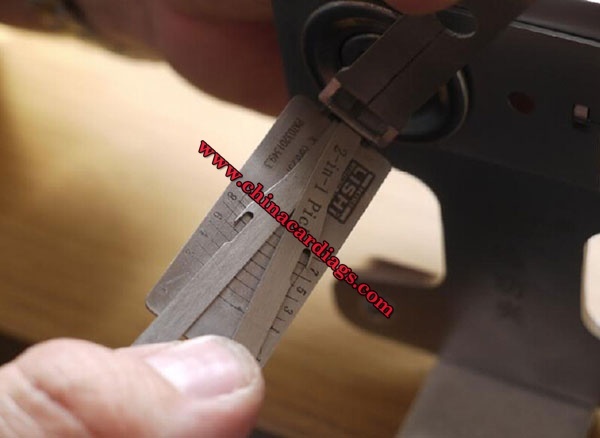 When picking a binding wafer , only lift it 1mm , if still binding then lift again another 1mm until moving and returning on the spring in a tight slapping motion, NEVER PICK A WAFER THAT IS MOVING , LEAVE THESE ALONE ! 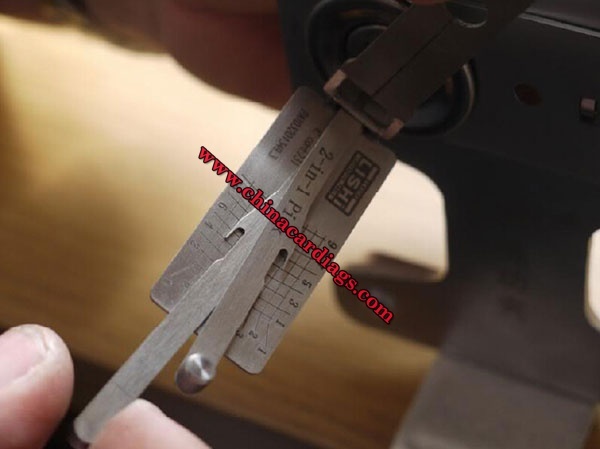 Last to pick is position 6 again and locks open. 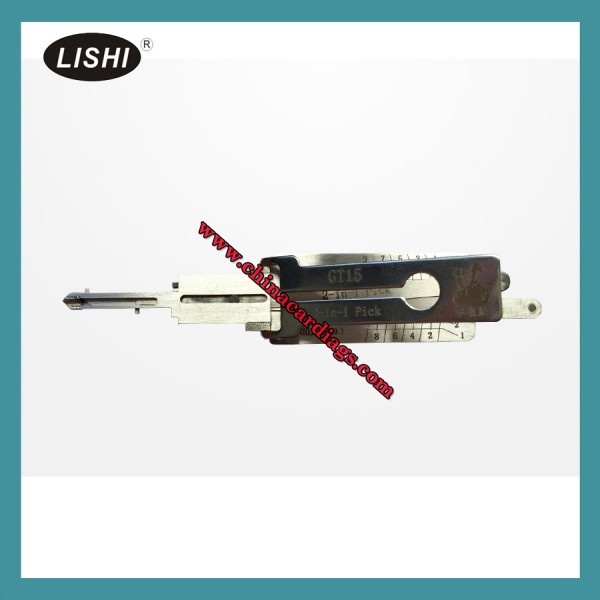 In order to decode the lock , it needs to be held in the fully open position via the tension handle. 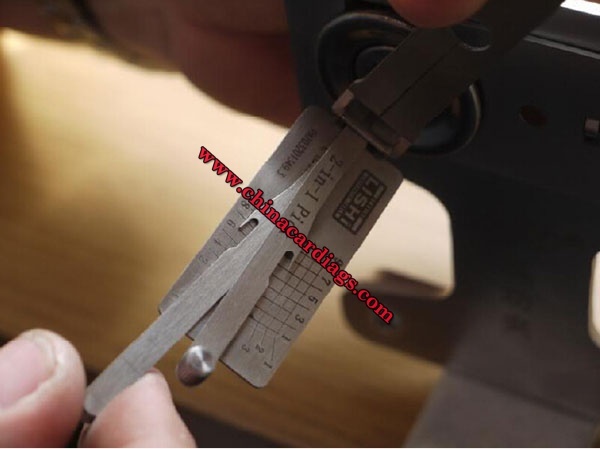 As a lishi tool design with the 2 separate lifters for odd and even numbered rows , the lock decodes in the same direction as picked . 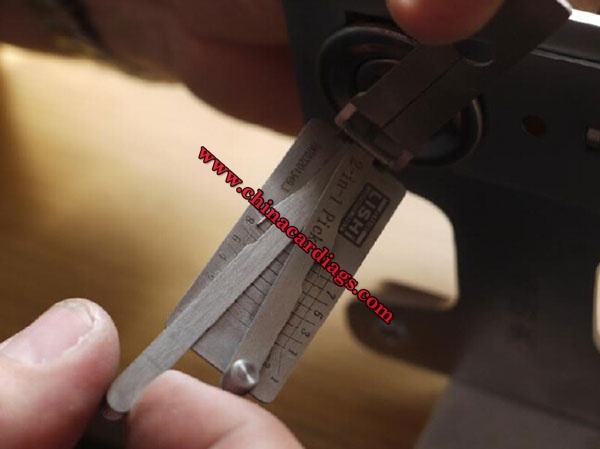 Whilst holding the lock in the fully open position via the tension handle, position the lifters pointer on the No 1 line and move it along the line until it stops, it will stop on one of the cut lines, which will be the cut for that position, position 1 refers to the bow end of the key and position 9 refers to the tip end of the key. 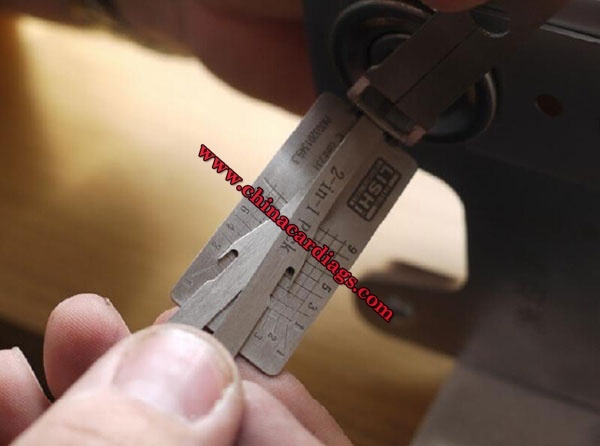 Position 9 is a No 3 cut. 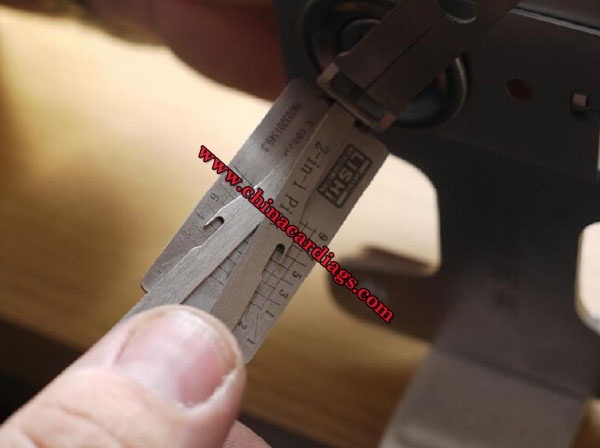 2 , 1 , 3 , 2 , 2 , 1 , 1 and 3 , so the key is from bow to tip 21322113 , this can now be cut to code and programmed to the car.